Wondering why your Roomba is beeping sometimes? Does your Roomba get stuck sometimes and give you a cold warning by beeping simultaneously? Then you are in the right place. Roomba robot vacuums are one of the greatest technologies that have made our daily cleaning tasks easier than before. These handy robots get the house clean like a cleaning fairy. But like all other technologies, these Roomba robots also have some common issues. 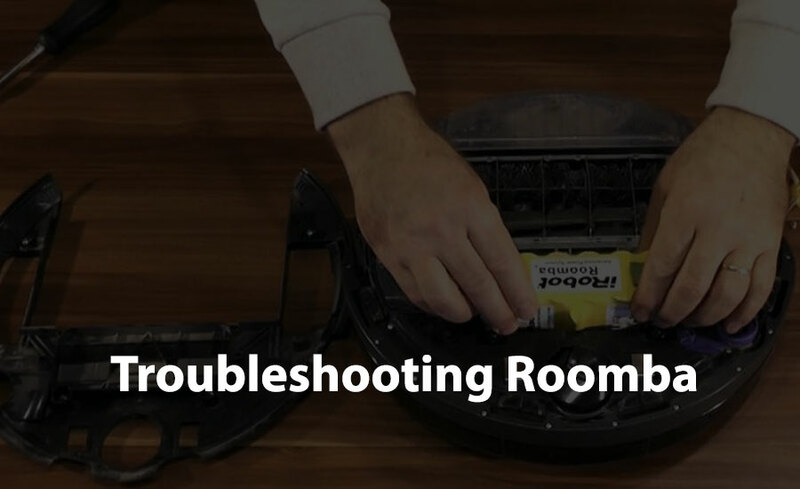 But you can solve them easily at home by yourself following this Roomba vacuum troubleshooting guide. Cause these errors aren’t any fatal one. They are just some form of maintenance that your Roomba needs from time to time. And your Roomba will warn you about his condition by different types of beeps. You can identify the error just by counting the beeps. So just dive into the troubleshooting guide. You will find the error code along with the solutions. There are two types of common error a Roomba tends to show. First one is related to charging and the second the second one is related to the operational error. But don’t be worry much. Just by following this Roomba vacuum troubleshooting guide, you will be able to solve any common issue of your Roomba at home in no time. I would like to show you the Roomba Diagram. You may be familiar with this one but I am pretty sure some guys will love to see this diagram image before getting started with the Roomba error codes analysis. There are some common charging issues your Roomba faces which you can fix in no time. This is more like a mistake than an error. This happens when you forget to connect the battery after assembly or don’t connect the battery properly. So the Roomba warn you the unavailability of the battery with a single beep. Just check the battery and connect them properly. Your Roomba will warn you about this type of error with two beeps. This mainly occurs when the battery is overheated because of the extra current above the recommended ratting or the batteries are fake. In this case. Just unplug the robot and let it sit for at least 3-4 hours. Then you need to check the batteries if they are original. This case is common in Roomba series 500 and the later models. This kind of error will warn you with 3 beeps at once. All you need to do is reset the robot and recharge it (Help the Roomba to get back to its charger). This happens when you first buy the Roomba. There is a yellow strip that breaks the circuit and cut the power system. You need to reboot the Roomba to solve this problem. This case you will find that you’re your battery is not charging anymore. This happens when your batteries overheat to the max point that it stops charging. You need to unplug the Roomba and let it be until it cools down. After that put it in the plug again and recharge. If you find the Roomba is charging properly, then you are good to go. But if the Roomba is still not charging then you need to replace the battery. If you find the continuous occurring of the error 6 mentions before then it is time you think about replacing your batteries as early as possible. This error is considered an error 7. 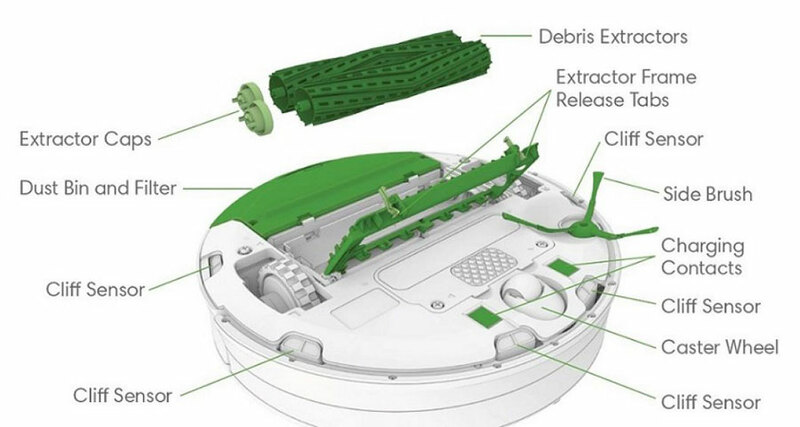 These were all the common charging issues you will find in your Roomba. Operational errors are mostly simple bugs that you can fix in no time with just some simple tips. This error will alert you with a different number of beeps. You have to recognize the problem counting the beeps. If you hear a single beep then your Roomba may have stuck at any place or a side wheel is hanging. In this case, move your Roomba and press the ‘CLEAN’ button to start. Now you have to check the side wheels of your Roomba. Look for any obstacle in the wheel such as stuck hair or so. You can do this by pushing the wheels back and forth to make sure the wheels are clean. Check each wheel separately to find the equal resistant level on each one of them. And then check the wheel assembly with a vacuum to complete the final check. This 2 beep indicates that the brushes have accumulated so much dirt that they can’t turn anymore. For this first, you need to open the brush case and check the bearings. Make sure there isn’t any dirt stuck on the brush blocking the turning by giving them a wash. Also, wash the gears and the bearings and the cases. Replace the brushes if needed. After all the cleaning, assemble the brushes, gears, and bearings properly. This one is related to the side wheels. Your Roomba will alarm you with 5 beeps if there is an obstacle in the side wheels which will prevent the wheels functioning properly. Check for any stuck hair or dirt on the side wheels and remove them. For this just flip the robot and push the wheels to see any obstacle. When you get rid of the obstacle check for the same level of resistant on both wheels. And finally, clean the wheels with a vacuum. This type of 6 beeps will warn you about your cliff sensors. Either the cliff sensors have accumulated dirt or stuck over a cliff. To fix it wipe the sensors with clean dry cloth or blow compress air to properly clean the sensors. This one is also related to the side wheels as error 5. This means any one or both the side wheels are stuck. These obstacles will prevent the wheel from turning any further. To fix it, Check for any stuck hair or dirt on the side wheels and remove them. For this just flip the robot and push the wheels to see any obstacle. When you get rid of the obstacle, check for the same level of resistant on both wheels. And finally, clean the wheels with a vacuum. This will indicate that the Roomba is stalled in one place because the caster at the front is stuck or the whole vacuum is stuck. To get rid of it just clean the front caster and you are good to go. But after cleaning if the caster is still stuck then it is time for you to change the caster of your Roomba. In this case, you need to concentrate on the area between the frame and bumper with the whole body. This alarms you that there is dirt in the sensors. So you need to clean the sensors along with the whole Roomba. This way your Roomba will work just as new. Just check the bumper in the case by pushing it back and forth to make sure it is clean. This has a unique meaning to these 10 beeps. This means your Roomba hasn’t identified anything as an obstacle yet. But it also indicates that the side wheels are stalled due to some obstacles. You need to check the side wheels as mentioned before for any dirt accumulation. And check the resistance on each wheel. Finally, clean the wheel with a vacuum. This is similar to the error 10. This indicates the Roomba hasn’t found any obstacle yet. This is likely to happen in a larger room with fewer furniture. Try using a hand vacuum for this type of rooms. This is similar to the cliff sensor error mentioned before. When the cliff sensor is dirty and can’t do the job properly, the Roomba will beep 12 times to let you know this. Wipe the cliff sensors to get rid of this problem. But if this error continues, try to get the sensor replaced as soon as possible. Roomba is one of the most convenient ways of cleaning the house with less effort. But like all other electrical devices, this will also need some regular maintenance. Check for the side wheels, bumper, gears, bearing, sensors and the brushes on a regular basis. This will keep away your Roomba from any trouble. 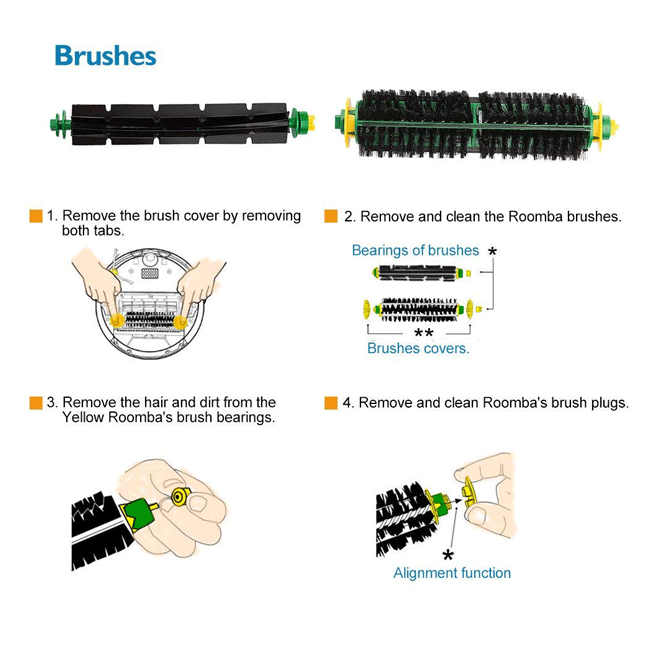 Even if you’re Roomba shows any sign of the errors mentioned above, don’t panic and just follow the Roomba vacuum troubleshooting guide. This way you will be able to solve the problem by yourself at home in no time. My roomba robot says error 40. What is that?